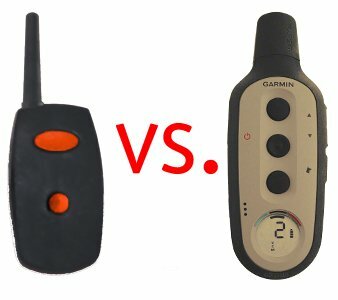 Will a cheap dog training collar do the job?. You are here: > STEVE'S REVIEWS > Best Dog Training Collars > Cheap Collars? Will a cheap dog training collar do the job? All of the dog training collars we sell are good collars from manufacturers who stand behind their products: Garmin / Tritronics, SportDOG, DT Systems, Dogtra, and E-Collar Technologies. We choose NOT to sell some lesser quality products that you may find in the "Marts" and discount stores and web sites on the internet. Many of the training collars offered in the mass market are very limited in range, features, consistency, and reliability. The mass market tends to care more about price than quality, so this is what they deliver. The funny part here is that in many situations you get a substantially better product just by spending a few dollars more. We now offer a few lower priced shorter range systems for folks with smaller dogs and with needs that don't fit our typical user. We have carefully selected these collars and give you pretty in depth descriptions listing the realistic uses for these systems. We stand behind EVERY COLLAR we sell with our 30-Day RISK-FREE Money Back Guarantee. If you purchase a dog training collar that's not right for your dog, we'll be happy to swap it for a collar that better fits your needs or refund your money. The dog training collars that we sell come with a minimum of a one year warranty. Many have longer warranties and several come with lifetime warranties. Some of the lifetime warranties cover parts only. Some cover parts and labor with a service fee. Click here for our Dog Training Collar Warranty Guide.